It's been a quiet post week as we've been focusing on lots of Christmas projects, parties, and fun. But I've also been down and out with a knee injury, which has made me a little distracted. 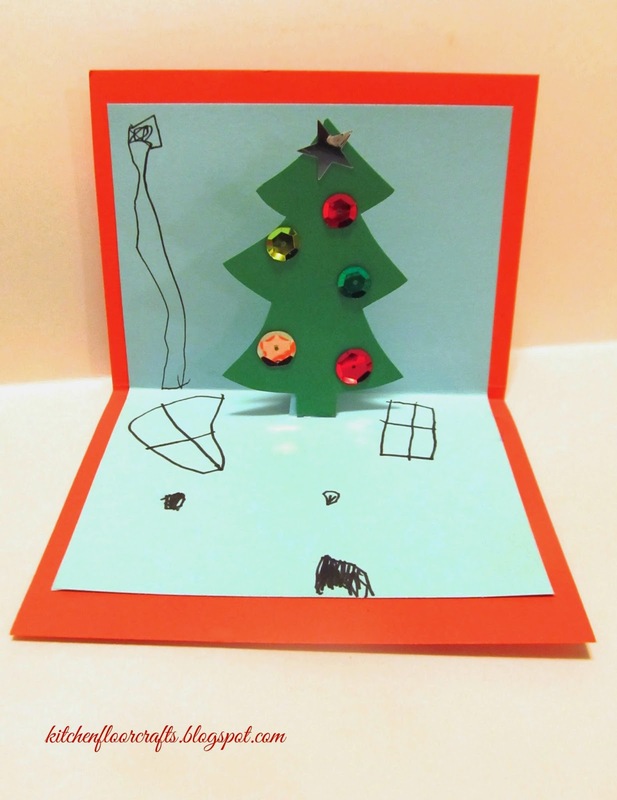 However, we did want to share these Easy Christmas Tree Pop-Up Cards we've been making over the last week. 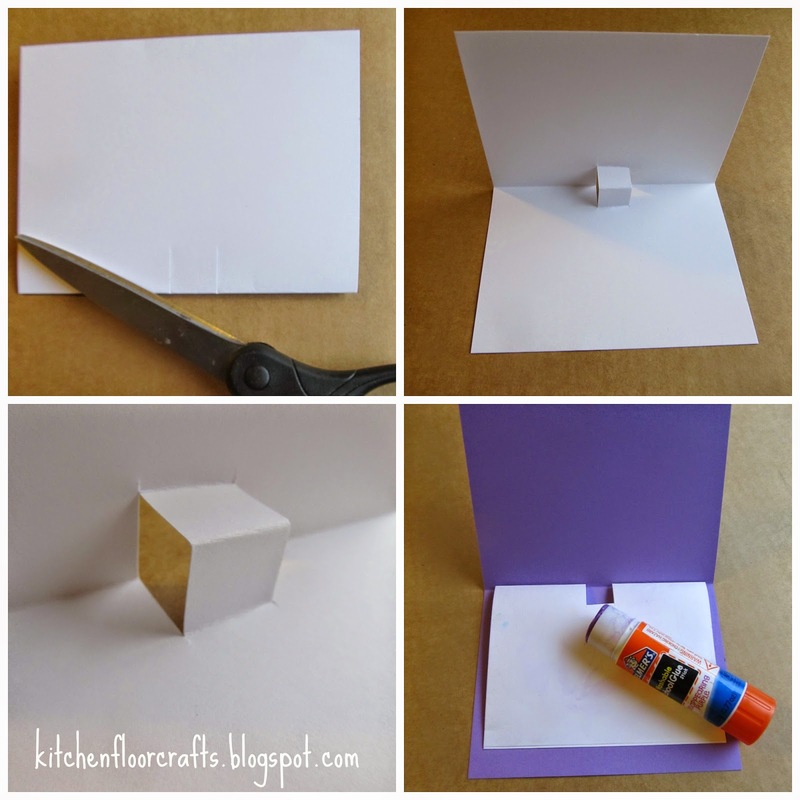 A few weeks ago we shared a tutorial post on how to create an easy flower pop-up card. 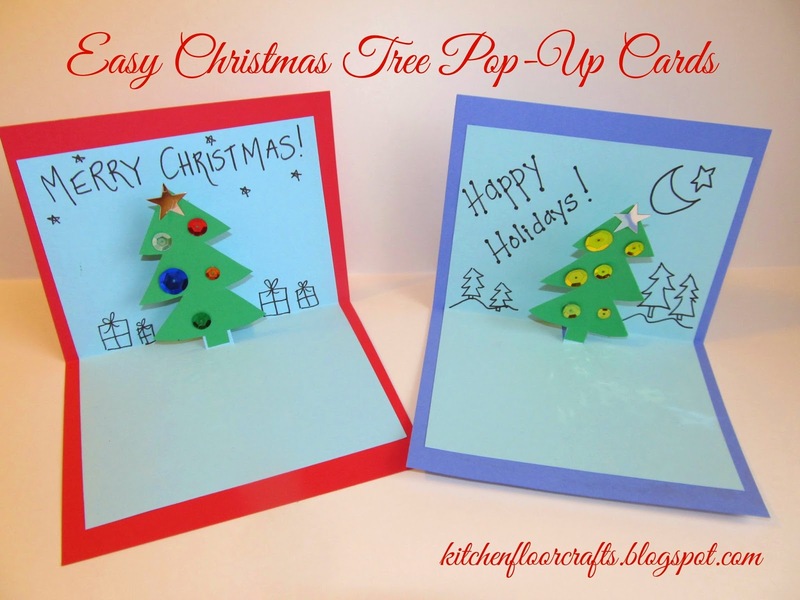 To put a holiday spin on it we've been creating a small stack of these easy Christmas Tree Pop-Up Cards for family and friends. For the full tutorial, check out the original pop-up card post. 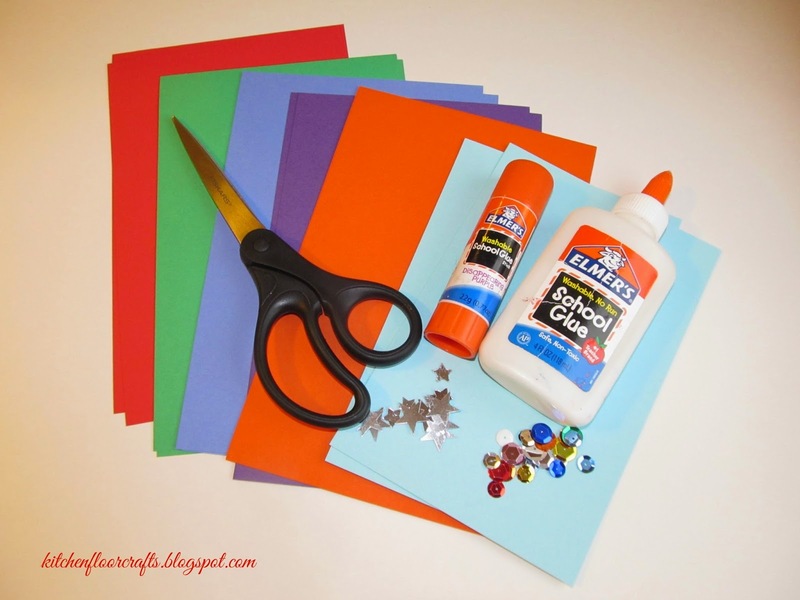 We used very similar materials to last time: colored card stock and glue. We also added in star and circle sequins. We cut larger sheets into smaller pieces, two different sizes. One size for the outside and one size for the inside. 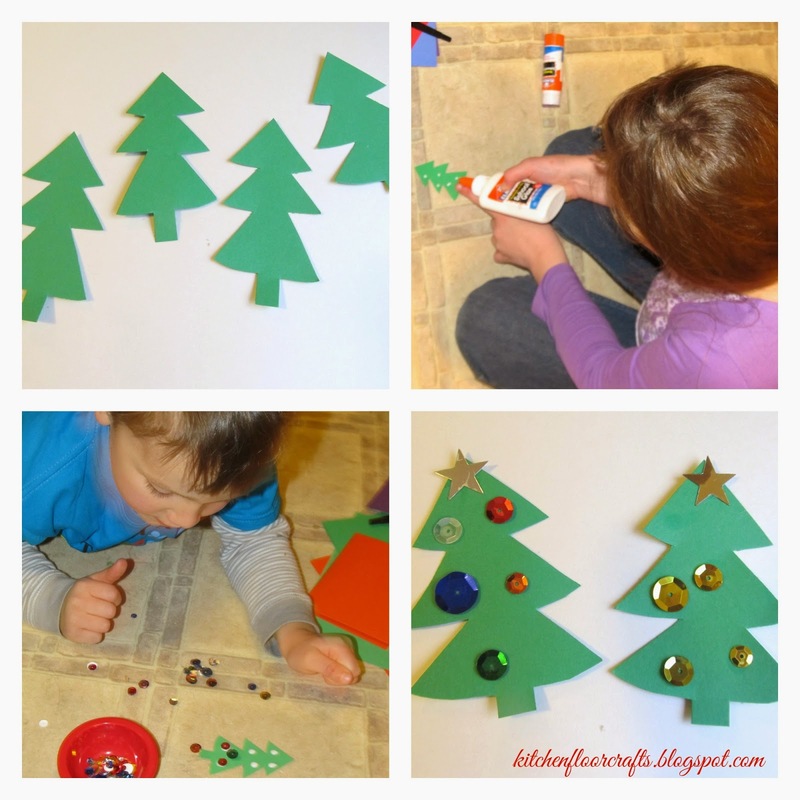 We used some of the green paper and I cut out small christmas tree shapes. Then we decorated the trees with glue and sequins. Afterwards we let them dry. Using a similar method to last time I cut two small slits in the smaller paper, and pushed the square outwards. 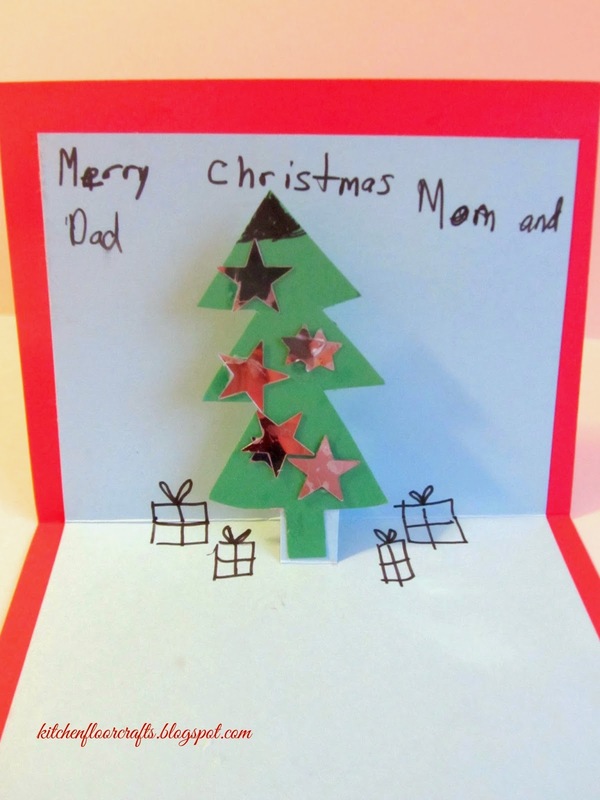 We then glued the smaller paper inside one of the larger pieces of card stock. We decorated the small pieces of paper with pictures and messages. At the end, we glued the the tree onto the small square. Big Cousin was with us on the first day we made some, which meant she could add her own details and words. Big Brother also worked to add some presents and a chimney in his tree scene. We had a lot of fun making each card a little bit different from the others. 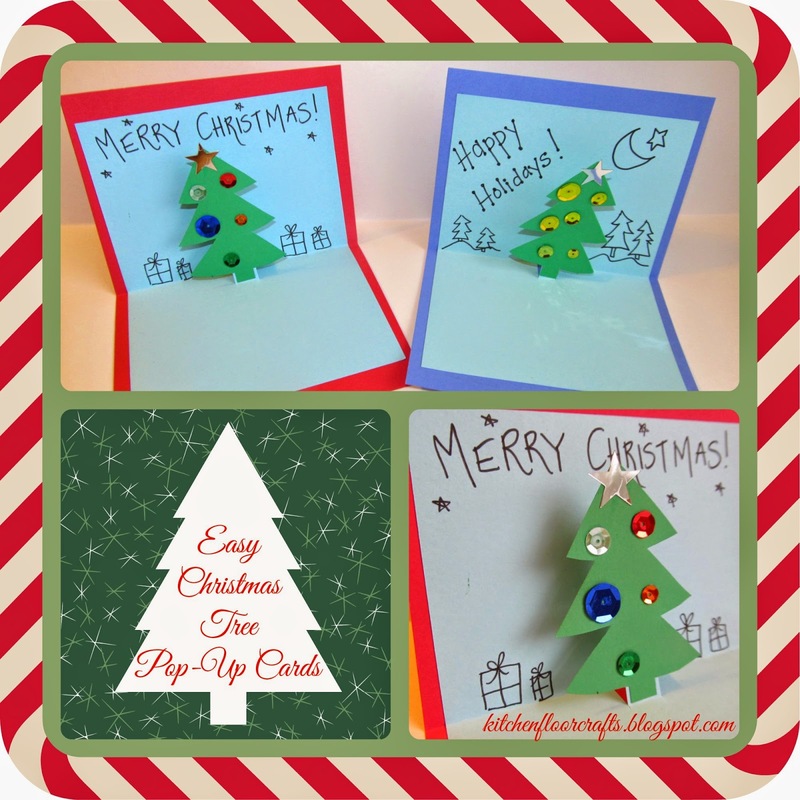 These make great cards for special friends, family members who are far away, or teachers. They are colorful, festive, and fun. We're looking forward to creating a few more cards before the big day.